Night of the Cossack is a compelling adventure about a teenager who is forced to grow up quickly. The main character, Nathan Hertzfield faces many life or death situations during his saga. Join Nathan on his suspenseful journey through parts of Russia and Europe during the early 1900's. 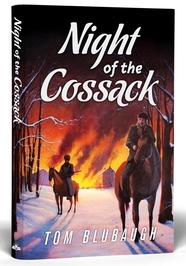 Don't miss this entertaining and intriguing story, Night of the Cossack. I started writing poetry at the age of 14. My hope was they would be used as lyrics by rock and roll singers such as Elvis Presley, Paul Anka and others, but this never happened. I continued to write, but not seriously until I was nearly 30. 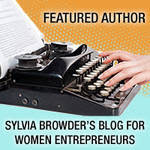 I wrote nonfiction most of my adult life with articles being published in a denominational magazine and business publications. I self-published a book, Behind the Scenes of the Bus Ministry, in 1974. In 2009, Barbour Publishing published a devotional journal, The Great Adventure, which I co-authored with fourteen other writers. In April, 2011, by historical novel, Night of the Cossack, was published by Bound by Faith Publishers. 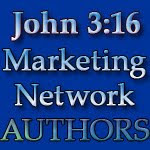 Tom is also a member of the John 3:16 Book Marketing Network. You can find Tom on Facebook and on Twitter - as well as on his Blog at The Write Trail . Why did you write "Night of the Cossack"? I didn’t have a grandfather on either parent’s side and I was always envious of those who had one. I had very little information on my maternal grandfather, but one of the facts was he was a Jewish Russian Cossack soldier. This intrigued me. When my mother passed away I was left with only one relative, on my mother’s side, that was older than I. I decided to create a story about my grandfather for myself. As it developed, I found myself writing for my six children and fourteen grandchildren. Later, I let a couple of people read what I had written and they suggested I look into getting it published. I joined a local critique group and they agreed. As I pursued the story, God sent a publisher to me. Cossacks were members of several peasant groups of Russian and Polish descent. They lived in autonomous communal settlements, especially in the Ukraine, until the early 20th century. In return for special privileges, they served in the cavalry under the czars. They were well known for their horsemanship. They raided villages for supplies, women and young men to increase or replenish their ranks. Eventually they became a part of the Russian army. I’ve been writing since I was fourteen. I started with poetry that I hoped would turn into song lyrics for rock & roll artists. This was a dream that never became real until I was 32 years old and then it was lyrics for Christian songs I wrote for a contemporary Gospel band. We were way ahead of the time with our music and it didn’t catch on in the mid ‘70s. I started writing non-fiction about that time and was published in a denomination magazine and later in an insurance magazine. This novel wasn’t started until I was 64. I never saw myself as a novelist until it happened. What message would you like to convey to your readers? Several things, but the two most important are: That the reader connects with Jesus Christ and readers will make a strong connection with their ancestors, especially those still living and find out as much about them as they can so there is a strong legacy to pass down. It’s sad that I don’t have any more information than I have about mine. I know the name of my grandfather and his brother and that’s it. I don’t even know the name of my great grandfather or grandmother. I’m finding this is common among Jewish families due to the fears of those who immigrated. My grandparents spoke nine languages between them. Whenever they spoke of the old country they didn’t speak in English so my mother, aunts, and uncles knew very little. They wanted their children to be Americans. They didn’t realize they were taking our heritage away from us. 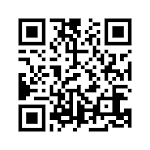 Visit Tom on Facebook and Twitter - as well as on his Blog at The Write Trail . 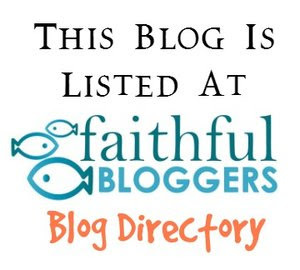 Deborah is the author of a Christian non-fiction book titled “Mission Possible”. 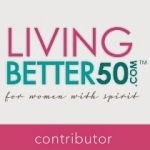 It is written for women who love the Lord Jesus, but their spouse doesn’t share their passion. It will encourage and challenge the reader to embrace God’s promises for their spouse and future together. Thanks for the very nice post, Deborah.